I’ve never been one to get into Christmas jumpers, I have gotten simple grey jumpers with winter trees in the past but never something full on in your face Christmas. 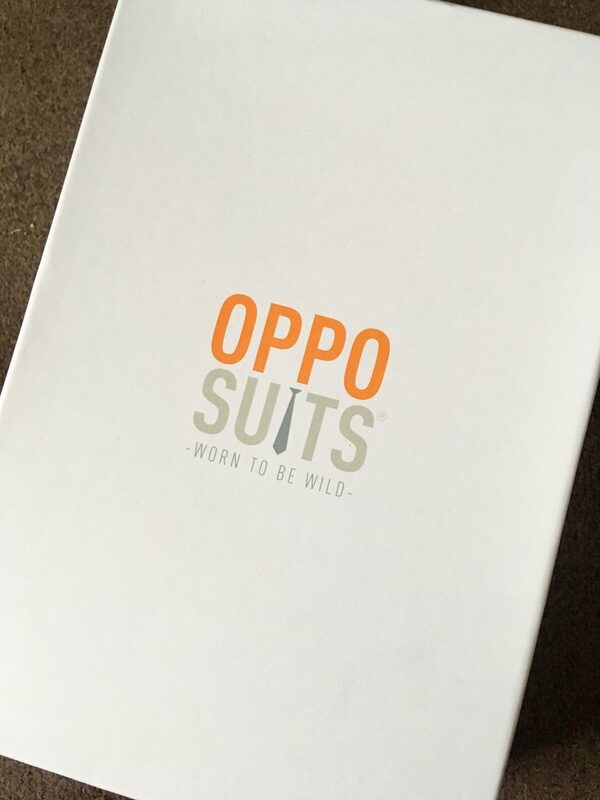 When OppoSuits got in touch with me to see if I would like to review one of their suits, I first asked Lucas if he would like one and he didn’t so I was going to decline. 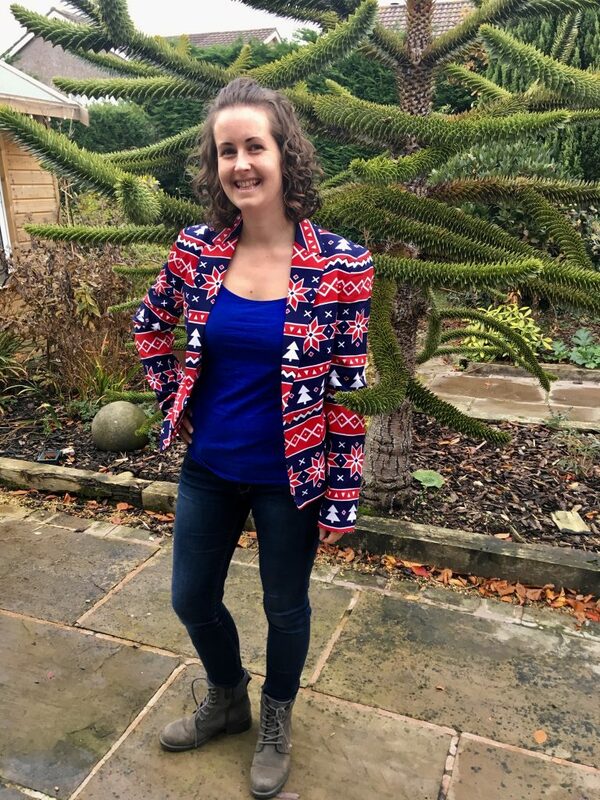 Then I started organising a Christmas tree festival for my local church and I thought, maybe it would be quite nice to wear to that, so I said yes. I had a look at their site and they do a wide range of suits for men, women and children. All of their suits are in funky patterns, they aren’t the usually boring suits! There is everything from PacMan, the American flag, flamingos, hearts, florals to Halloween themed and Christmas themed. If you like to get dressed up for Christmas or like to get a Christmas jumper, this is such a good alternative. 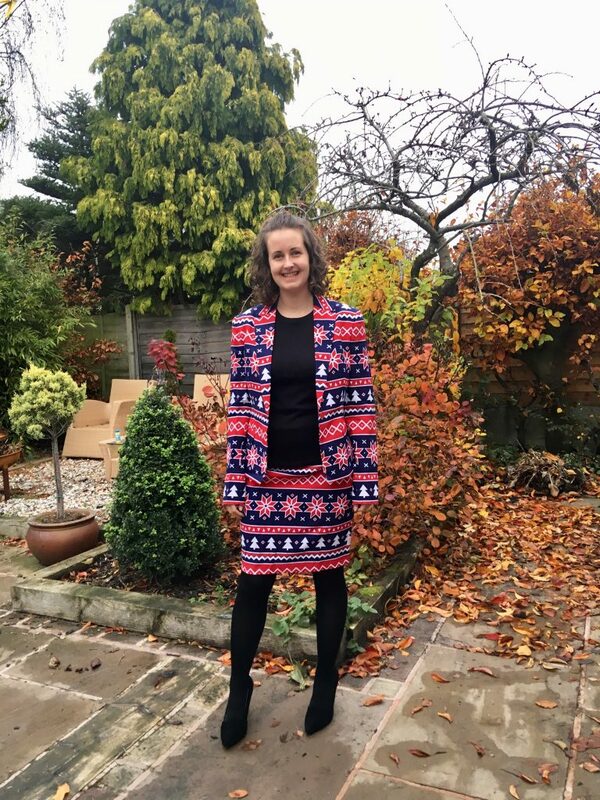 I opted for the Nordic Noelle suit which is a fun Nordic pattern in white, red and navy. The suit includes the jacket and a pencil skirt. Both the jacket and skirt are fully lined and machine washable. The jacket has padded shoulders, front flap mock pockets and an inside pocket. 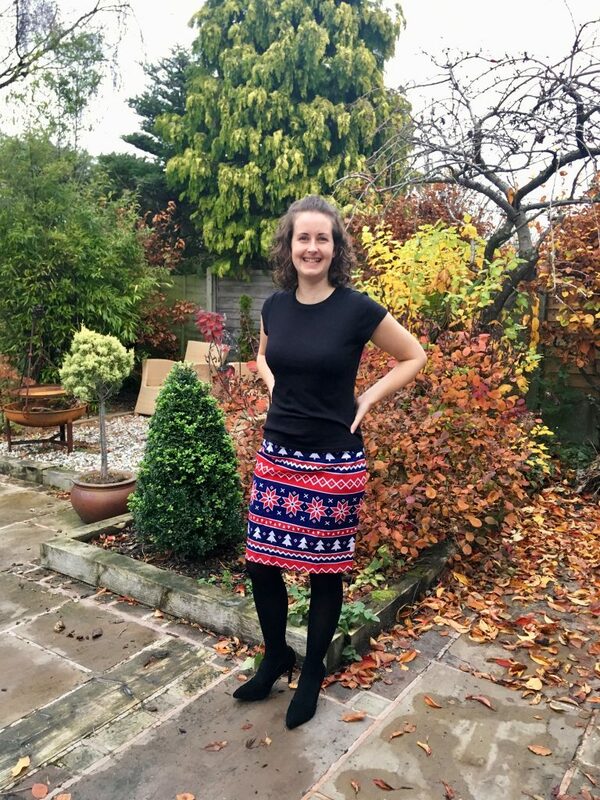 The skirt has a button and zip closure as well as having elasticated side panels for a custom fit. I really like the suit and love how you can easily change the look of it with accessories and various other items of clothing, whether you want a full suit and add a shirt with it or want a more casual look by layering a sweater underneath. I also really like just wearing the jacket over a Tshirt and jeans for every day wear. 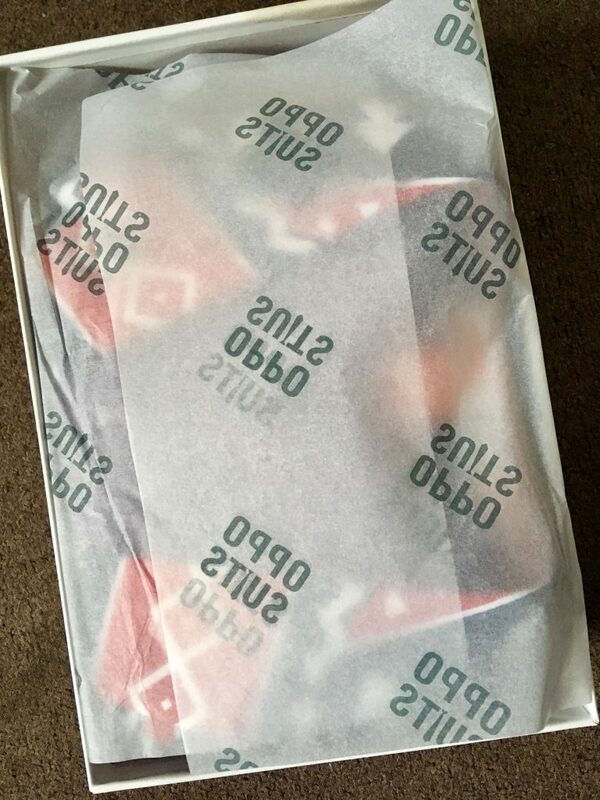 I am really impressed with the quality of the suit but for the sizing, I would advise getting a size up. I am usually a size 8-10 but sent the size 10 back and got a 12 which I am much happier with. I’m not sure I could pull one off but I love how festive it looks! Beautiful bold and vibrant colours. Great to brighten up the mood in the winter. 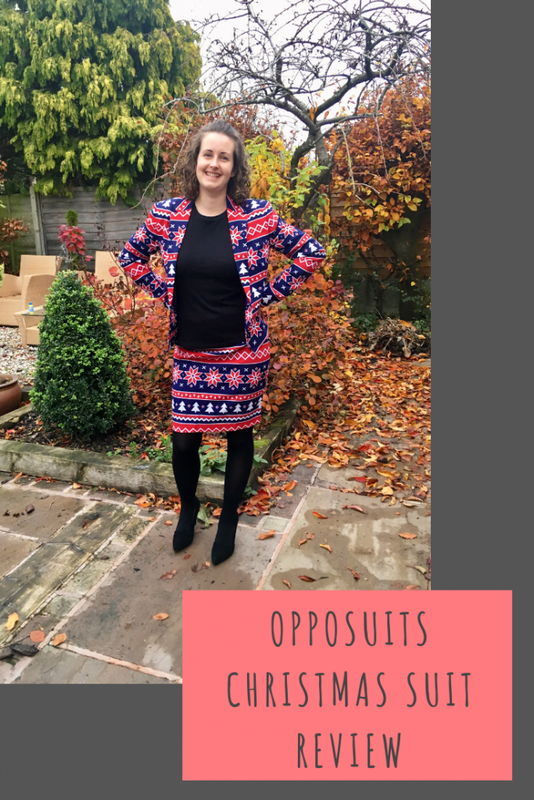 How cute is this suit and I love how versatile you made it too!